ANGRAU Admit Card 2018 can be downloaded from the official website as per the schedule. Those candidates who will fill and submit their Application Forms along with Registration Fee and required certificates will be issued Admit Cards for entrance exams. 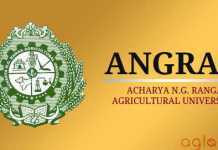 Latest: AGRIENGGCET Exam 2018 Admit Card & eligible candidates list has been released. Candidates can check it from the link given below. ANGRAU Hall Ticket 2018 need to be presented to the Supervising Officer at the Entrance Test Centre. Any candidate without this Hall-Ticket shall not be allowed for the entrance test. The candidates will not be admitted to the examination after the first 30 minutes and will not be allowed to leave the examination hall till the first half an hour is over. The issue of Hall Ticket and appearance at the examination does not automatically entitle a candidate for admission. Candidates who will fill their Application Form as per schedule date are eligible to download their Admit Card from here. Candidates who are eligible for the test, their Admit Card is given below in the list. Admit Card: Click Here to download the AGRIENGGCET Exam 2018 Admit Card. 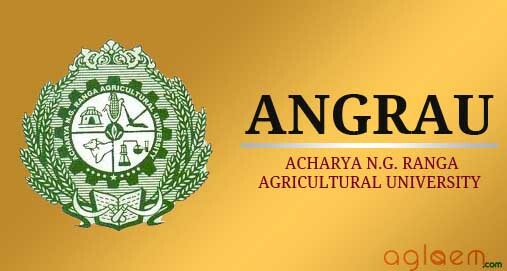 Eligible Candidates: Click Here to check the list of candidates eligible for AGRIENGGCET Exam 2018. If Hall tickets are not received in time, the candidates appearing for the PG entrance examination may obtain the duplicate hall tickets a day before the examination from the office of the Associate Dean, Agricultural College, Bapatla and S.V. Agricultural College, Tirupati and Agricultural College, Naira between 10.30 AM to 4.00 P.M. The candidates appearing for PhD entrance examination may obtain the duplicate Hall tickets a day prior to the examination from the office of the Professor & Special Officer, Advance PG Centre, Lam, Guntur, between 10.30 A.M. to 4.00 P.M.
Admit Card: Candidates can download admit cards from www.angrau.ac.in.